An easy peasy craft that will get little ones learning the alphabet in no time. I did this craft for the first letter of my eldest son's name, but you don't need to stop there. You could choose any letter, or even do an alphabet plate for every letter of your child's name. 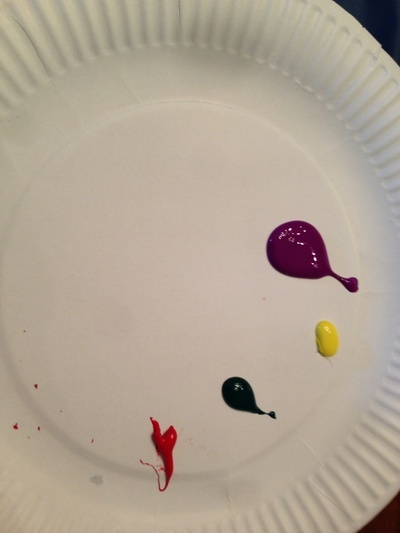 It's also one you could use for numbers, and for helping your child learn their colours. 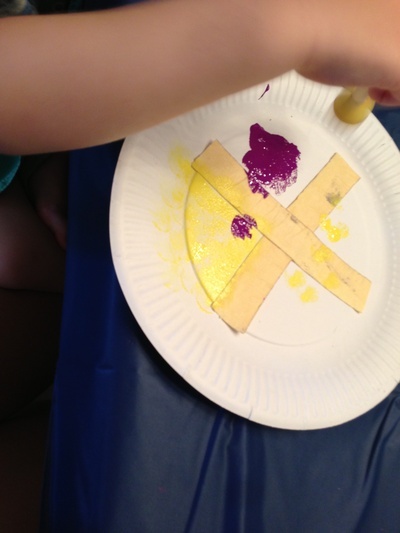 No precision whatsoever is needed in the painting, and kids will enjoy being able to paint wherever they like. 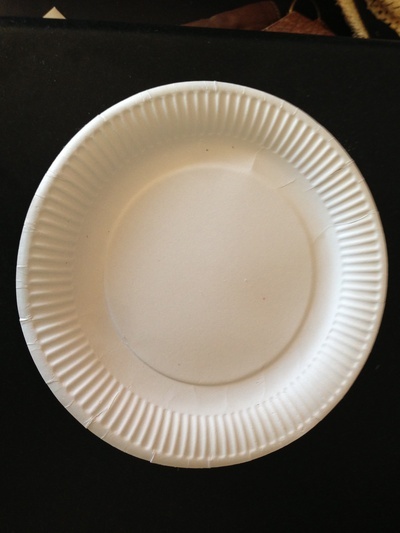 Take the paper plate and using the masking tape, mark out the letter of your choice. We chose an X. 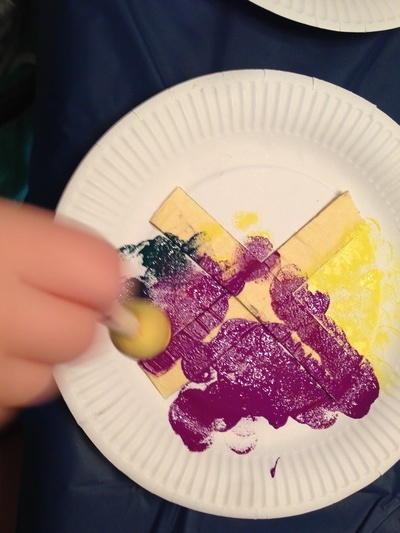 Set the paint out so that your child can easily add paint to their brush or stamper. 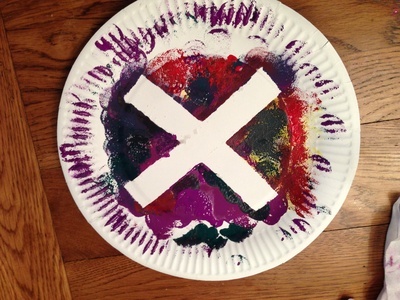 Get your child to paint all over the plate, making sure that they paint over the masking tape. 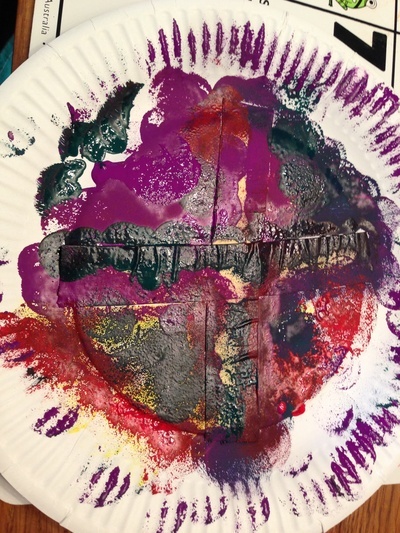 Once all the painting is complete, leave to dry for a few minutes. 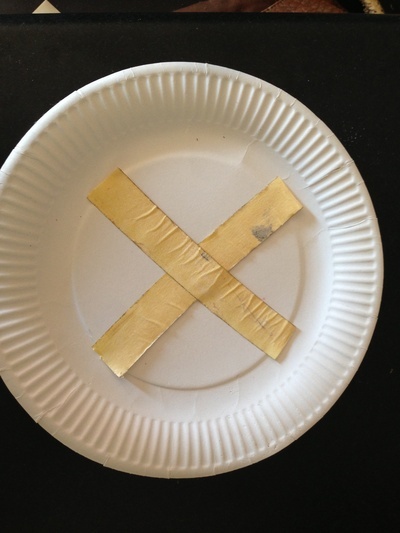 Peel off the tape to reveal the letter that you have chosen. Little kids will adore this stage, as they are so surprised to see a letter uncovered. What craft glue do you use?